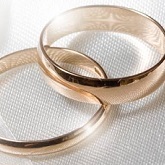 Learn the art of being a successful wedding planner with an eye for details on April 23rd & 24th at ABHTI. 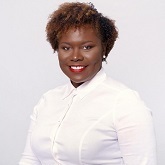 Patrice started her new role as Executive Director on January 7, 2019. Register for the 12 week classes starting on November 6th & 8th, 2018 at Antigua Hotel & Tourist Association. 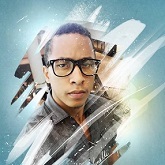 Compete in today's job market and register for the Photoshop Comprehensive Course with Antigua Hotel and Tourist Association set over September 26th - October 26th. Lear a new skill and register now for the Advance Photoshop/Graphic Design 4-week course set over July 10th - August 2nd, 2017 at AHTA. The twin island is proving to be a destination to watch, with major upgrades in the pipeline and infrastructural developments. Sign up for the 4 weeks Photoshop Course powered by the Antigua Hotel and Tourist Association (AHTA) set over October 25th - November 16th. 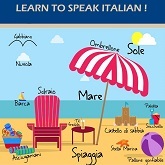 Sign up and learn how to speak Italian at the Antigua Hotel and Tourist Association (AHTA) from October 13th, 2016. A totally rebuilt version of Antigua Hotel Jobs was recently relaunched by the AHTA and is open to all. This platform acts as an interface between tourism stakeholders and those seeking a new job in the industry. 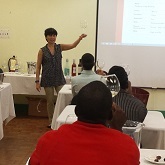 AHTA is pleased to facilitate a Wine Certification Course with assistance from the world recognized London’s Wine and Spirits Education Trust. Sign up to get trained and certified with AHTA internationally recognized qualification wine courses, WSET on May 30 - June 3 at the ABHTI. 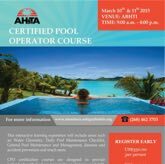 AHTA is now offering scholarships for Resort Management and Hospitality Management at the ABHTI. 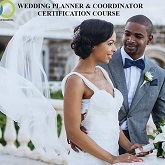 Learn the art of being a successful wedding planner/consultant with an eye for details, proper etiquette and much more. Register now for the discounted rate. 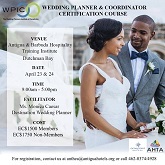 On April 4th, AHTA is offering a full day workshop facilitated by Adriana Serna, Director of Communications for the Caribbean Hotel & Tourism Association. 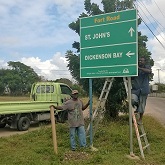 The Antigua Hotel & Tourist Association Tourism Development Fund continues its campaign by replacing more directional road signs around the island. 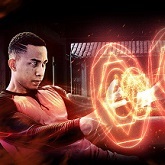 Starting on February 15, share one picture a day of ways you show love in the Caribbean. 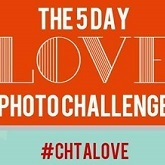 For example on February 19, take a picture of how you show your Hotel Association love and appreciation. The AHTA hosted a comprehensive Vector Control & Mosquito Eradication Seminar for industry professionals with tools to strike at the Zika virus. 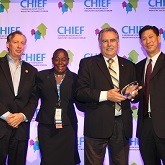 AHTA, Neil Forrester receives National Hotel Association Executive of the Year award from Caribbean Hotel and Tourism Association. The Caribbean Hotel and Tourism Association (CHTA) polled its membership and received responses from 11 national hotel associations on Sargassum impact being minimal. Following the recent Antigua Hotel and Tourist Association Annual General Meeting a new board of directors has been elected to serve. They currently have ten items loaded in the Auction items and bidding is on-going. They are also looking to their members to partner with them. The timely donation will be used for the museum’s upcoming Digital Heritage Education series. 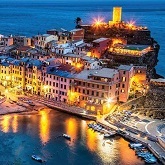 Sign up for Antigua Hotel and Tourist Association's 12 week Italian course, starting on 1st - 2nd July 2015. Register for Antigua Hotel and Tourist Association's 12 week french course for Beginners and Intermediary starting on Monday, July 6th. The Antigua Hotels and Tourist Association in collaboration with the Antigua Barbuda Tourism Authority hosts the second edition of their Showcase Antigua Barbuda Destination Symposium that will take place at the Grand Royal Antiguan Beach Resort on June 6th 2015. Register before February 4th for the Certified Pool Operators Workshop on March 10th and 11th. 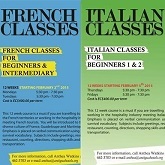 French & Italian classes restart the first week of February. Chikungunya virus prevention and preparedness for travellers coming to the Caribbean. 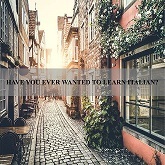 Sign up for the 12 week course in Italian commencing on Thursday October 16th. 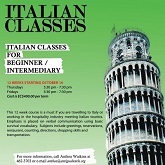 Sign up for 12-weeks of Italian classes for beginners and intermediates by October 15th. 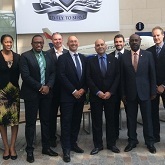 This increase comes, following a meeting held with British Airways officials at the BA headquarters. 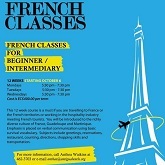 AHTA's French Classes start on October 6th for 12 weeks for Beginner or Intermediary students. Join groups from around the island to clean beaches for International Coastal Cleanup Day. The tour, which takes place every two weeks, offers guests the unique opportunity to accompany research teams on an evening beach patrol. The AHTA is calling on groups to participate in the Ocean Conservancy’s Annual International Coastal Clean-up Day on Saturday September 20th. The AHTA Tourism Development Fund, along with the A & B Road Safety Group and SignCom, unveiled several new directional roads signs during the first phase of a project to replace damaged and faded signs. The tourism industry turned out in force to honour its brightest stars during the AHTA's 8th Annual National Tourism Awards. Tourism officials have high hopes for the inaugural Showcase Antigua & Barbuda destination symposium as the international tourism event kicks off today at Sandals Grande Antigua. The destination provided the backdrop for the prize giving ceremony which took place at one the island’s newest restaurants & attractions, ‘D-Boat’. ABHTI launches e-book initiative aimed at reducing the high cost of textbooks to its 300 students. Want to learn French? Sign up for classes with AHTA. 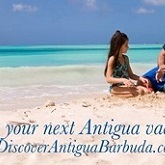 Check out the latest tourism and hospitality news in Antigua & Barbuda with AHTA's e-newsletter. World Routes - Las Vegas, Guadeloupe French Exchange, Beach Clean Up and more all in this edition. In this edition, a few of Antigua' resorts get listed among the world's best! Keep up with the latest tourism news with our weekly newsletter..
A recent AHTA Newsletter focuses on closed season for Queen Conch from July 1 to August 31. Keep up with the latest tourism news with our weekly newsletter. 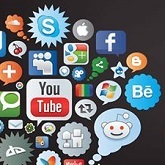 In addition to news, we keep you informed on events and developments. 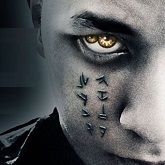 Latest, news, events and a few tips in this issue. Members of AHTA and ABHTI supports the Caribbean Hotel & Tourism Association Education Foundation-Haiti Fund (CHTAEF-Haiti Fund) and recently donated $10,000 to assist Haiti students. The twin island paradise was recently promoted during two tradeshows in the United States and Canada. Everyone will agree that customer service is one of the most important areas of a company's overall strategy in conducting business. As tourism-related businesses in Antigua and Barbuda get ready for the upcoming tourist season, food and beverage professionals will be converging on the Antigua & Barbuda Hospitality Training institute (ABHTI) from next Monday to achieve certification in food safety. Sign the petition for a fair tax on flying from the United Kingdom. The Antigua Hotels and Tourist Association held its Annual General Meeting at the Sandals Grande Antigua last Thursday 24th May. The Antigua Hotels & Tourist Association (AHTA) is pleased to announce that for the third consecutive year it will be continuing its annual scholarship programme for the nationals of Antigua & Barbuda by offering scholarships for the two-year associate degree course at the Antigua & Barbuda Hospitality Training Institute (ABHTI) in both Culinary Arts and Hospitality Management. Caribbean Travel-life writer Matthew Miller and photographer Shelly Strazis featured the quickest way to Antigua's soul in Magnificent Seven. They captured some of the things we enjoy doing just for fun. 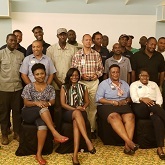 Antigua Hotels and Tourist Association (AHTA) in partnership with University of the West Indies (UWI) Open Campus for supervisory management training programme. It is much regret that we have learnt that former Chairman of Antigua Hotel and Tourist Association Peter Ramrattan died on Friday in the UK after a long battle with illness. The Antigua Hotels & Tourist Association (AHTA) is partnering with the University of the West Indies Open Campus in Antigua to offer training opportunities and professional development to hospitality workers. After months of negotiations the Antigua Hotels and Tourist Association and the Antigua & Barbuda Workers Union today reached agreement on the terms and conditions relating to the last two years of the current three year Collective Agreement. 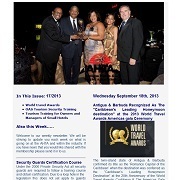 Check out December Issue of the Antigua Hotel and Tourist Association newsletter. The Caribbean Tourism Organisation (CTO) is deeply disappointed and surprised by the UK Government's announcement on 6 December that it will continue to discriminate against the Caribbean in relation to the banding aspect of the Air Passenger Duty (APD) system. NATIONAL COASTAL CLEAN-UP DAY - SIGN UP TODAY! Keep our beaches beautiful! Join up with one of the groups in charge and come on out to help clean up our beaches. Eighteen (18) Front Desk Representatives now join the pool of Certified Hospitality and Tourism In-dustry workers to have gained accreditation under the three-year Tourism Training and Certification Project co-sponsored by the Organization of American States (OAS) and the Ministry of Tourism, Civil Aviation and Culture. 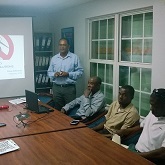 The CTO is already helping these businesses in Antigua to become Hospitality Assured. Response from stakeholders, volunteers and environmental agencies to the Antigua Hotels & Tourist Association and the Ministry of Tourism led, International Coastal Clean–Up Day, to be observed on September 25th, has been exceptional, that’s according to the AHTA, General Manager Neil Forrester. Local residents and businesses in Antigua and Barbuda gear up to observe International Costal Cleanup Day on September 25th. Team Antigua walk away with Silver and qualify for the indiviudal competitions. September 25th is International Coastal Clean Up Day. Chef's World, on Friday, donated a quantity of chefs jackets, aprons and hats to outfit the National Culinary Team that is set to participate in the Taste of the Caribbean Culinary Competition at the Rio Mar Resort in Puerto Rico, from September 9-12. 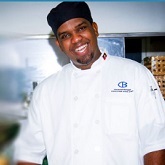 "It is the first time, in the culinary art-form of Antigua & Barbuda, that a student chef is being included on the national team, which, is currently preparing to compete in the Taste of the Caribbean Competition, in Puerto Rico from September 9-12," that's according to General Manager, Antigua Hotels & Tourist Association, Neil Forrester. Antigua & Barbuda will become the co-ordinating hub for hospitality and tourism in the Organisation of Eastern Caribbean States (OECS) with the establishment of the OECS Centre of Excellence for Hospitality and Tourism training. 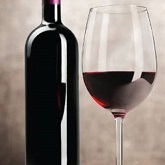 With a goal to continuously raise the standards of Caribbean Food and Beverage excellence and professionalism in the region, a team comprising local culinary experts, are set to represent Antigua & Barbuda, in this year's prestigious Taste of the Caribbean Culinary Competition at the Wyndham Rio Mar Resort in Puerto Rico between September 9 -12. St John's 28th July : In February of this year the A.H.T.A. and the A.B.W.U. introduced a retirement fund for all the hotel employees covered the the AHTA Collective agreement. We are pleased to officially inform you that the Antigua Hotels & Tourist Association in partnership with the Ministry of Tourism are in the process of finalising plans to host the National Tourism Awards Gala. Tourism is going to remain the pillar of the Antiguan economy for the foreseeable future and the AHTA is looking to the brightest and the best of Antiguan talent to lead the way as the next generation of hotel industry leaders. Minister of Tourism, the Hon. John Maginley today (Thursday March 25th, 2010) met with members of the Antigua Hotels and Tourist Association (AHTA), and the Antigua Public Utilities Authority (APUA) water division regarding the status of the islands’ water rationing process and its impact on the hotel sector. 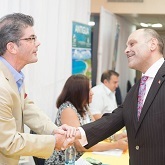 On Saturday February 20th, 2010, the annual A & A Tours Travel Trade Show was held at the Convention Centre in San Juan. OVER two hundred runners will converge on the city of St. John’s and its environs on Wednesday when the 4th edition of the annual “Cruise to Run” initiative reaches Antigua. The Caribbean Hotel & Tourism Association Education Foundation (CHTAEF) partnering with the Antigua Hotels & Tourist Association (AH&TA) announces the launch of its 2010/2011 scholarship programme for Caribbean hospitality employees, educators and students wishing to pursue studies or professional development courses related to tourism industry. Antigua has been in the hospitality and tourism business for over 50 years, yet only a disproportionate few Antiguan nationals have reached top positions in the industry. This week's newsletter has some great offers on early bird bookings, and open offers for Sugar Ridge Hotel soon to be opening its doors.